First things first - I can't start writing before I send out a heartfelt thank-you to my dear friend Charlotte, who kept my blog filled with beautiful pictures and thoughtful words while I was getting ready for Quilt Market. The Beatles were right - you can get by with a little (or a lot - in my case!) help from your friends. And thank you to you, dear readers, for understanding my need to be absent from this space in order to spend any "extra" time I had focused on my boys. It's all a juggling act, and, for me at least, I just have to cross things off of my list and not look back. These boys are only little once. But the sewing gig? Not too bad. My Quilt Market right-of-passage complete, I can now reflect on the logistical nightmare of it with a touch of comedic hindsight. Oh my, I do hate logistics and event planning. This I now know about myself. 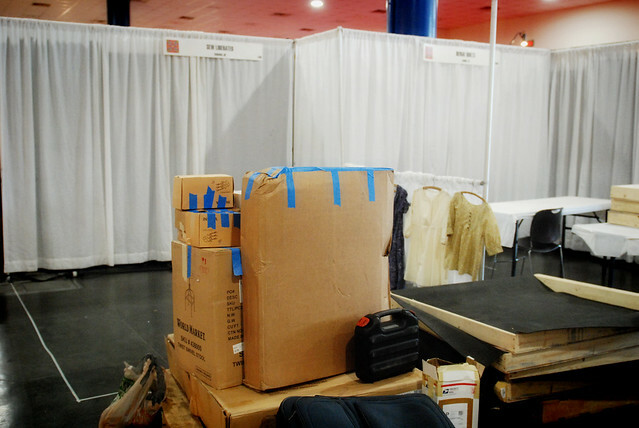 The late shipment of my booth? The "missing" 1x4 studs on one section of my booth wall? Golly, man. Once again, though, my "at-least-we're-not-in-the-hospital" mantra got me through just fine. Lack of logistical finesse in type B personalities is always made up for by a "whatever, it will all work out" attitude to snags in the road. Enough of the getting there and back part, though. 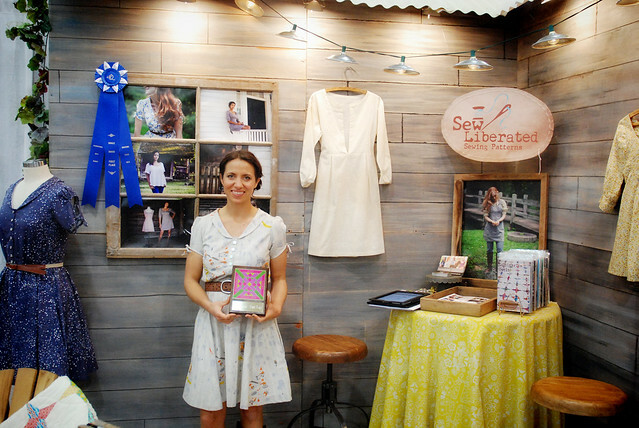 You probably want to know about what happened once the Sew Liberated booth was set up, right? Here it is! Yep! It's true! 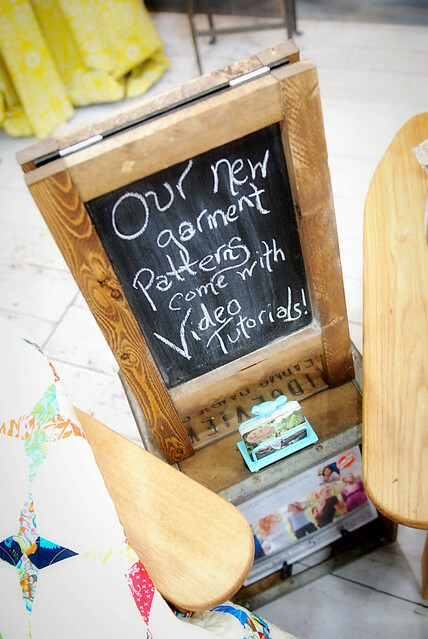 Sew Liberated is taking sewing patterns into the next generation with free video tutorials for our newest garment patterns. You'll get to watch my amazing intern, Danica, sew up everthing from the first to the last step! Just after the booth prize committe showed up an awarded us with a 1st prize in the single booth category, I posed with the giganticus ribbon and the nifty plaque (that would find a home next to my trophy for the free throw tournament I won in 6th grade, if I still had it ...) But wow, I totally wasn't expecting this! 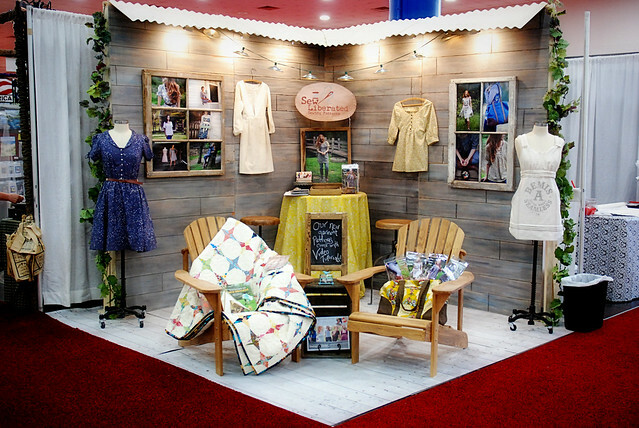 There were so many other booths there that were utterly beautiful and I'm sure they deserve this prize more than I do. 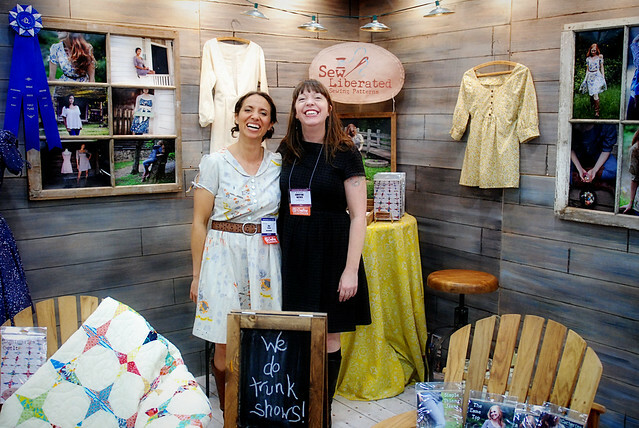 Here I am with Christine Haynes, the easy going and fun sewing teacher, fellow Craftsy instructor and pattern designer! Christine works at Sew L.A. - a great sewing studio in Los Angeles. 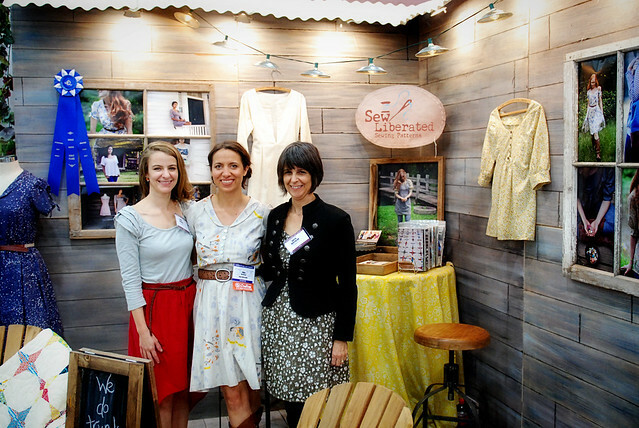 I met lots of very lovely people at Market, including mother-and-daughter team April and Anita, who own Sew To Speak in Columbus, OH. 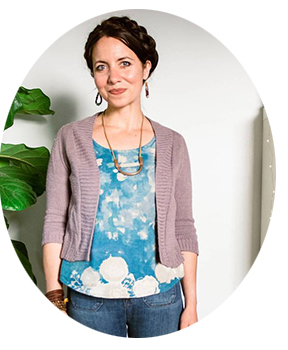 We had dinner with Rae, hobnobbed with fabric companies, and got to know many other amazing designers. I only with I had had more time to take more pictures of other booths! 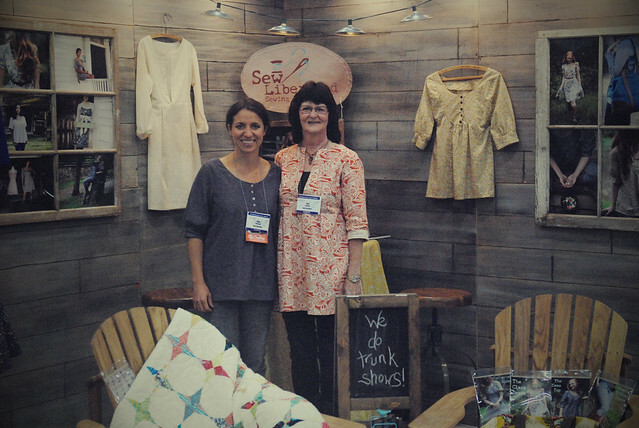 It's a real visual explosion, this Quilt Market thing. You leave with way more things on your "to-make" list than you had when you arrived. I'm pleased to say that everything is now unpacked, my studio has been spiffed up for some actual sewing, and things are back to normal once again. Well, if you count bringing home six baby chicks on Thursday as normal, that is!